The tender for the construction of the Zarat seawater desalination plant has been won by Va Tech Wabag. The Indian company specialising in water treatment will therefore provide engineering services, construction and supply of this future station. In Zarat, a coastal city located in eastern Tunisia, a seawater desalination plant will see the light of day. Its construction was the subject of a call for tenders from the National Company for Water Supply and Distribution (Sonede). Only one company answered the call; the Indian multinational Va Tech Wabag. Unsurprisingly, it is this Chennai, Tamil Nadu-based company that has been appointed to provide engineering, procurement and construction services for the future Zarat seawater desalination plant. This desalination project is intended to tackle drinking water shortages in the Gabes region, and especially to limit the overexploitation of the water table. Before the beginning of 2019, Va Tech Wabag will start setting up this factory. The Indian company will build a desalination plant capable of producing 50,000 m3 of drinking water per day. The plant will be accompanied by a desalinated water pumping station. It will deliver water to three tanks with a capacity of 15,000 m3 each. However, Sonede plans to expand the capacity of the facility to 100,000 m3 by 2027. In the meantime, the public company responsible for the distribution of drinking water estimates that the plant, whose construction is to be completed in 2021, should cover the needs of more than one million people in the Gabes , Medenine and Tataouine governorates by 2035 (with the extension of its capacity in 2027). 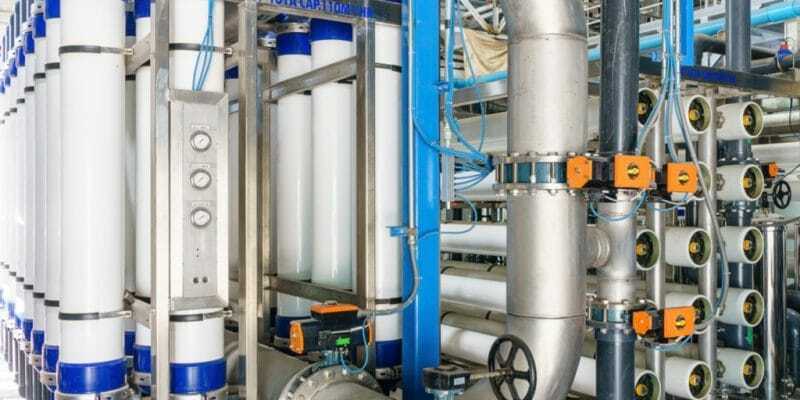 What could therefore be considered as the first phase of the Zarat seawater desalination project will cost a total of 231.6 million dinars, or 96.5 million euros. On this point, the Tunisian state can count on Germany’s support, through its development bank. The Kreditanstalt für Wiederaufbau (KfW) has decided to invest 82 million euros. The loan agreement has been signed since the month of 2016. The Tunisian state will finally pay only 14.5 million euros to finance the construction of the plant. Several other small desalination projects are being developed in the country, in Sidi Bouzid, Gafsa, Tozeur, Kebili and Medenin.